Fall is the favorite season of all creative souls. This time of the year is filled with torrents of colors, shades of golden brown, rushing winds, elusive sun, cool days and even cooler nights. The skies are crisp pristine blue and the air is heavy with wood smoke scents. The bodies are seeking warmth and this is the season of layers, coats, cozy sweaters, boots and color bursting scarves. The nature gives us the most beautiful sound, look and feel: the crunching of leaf piles underneath the weight of our steps and the cheeks and noses redden by the pinching of the cool winds. What I also love about fall are the heavier scents that agree perfectly with the cooler scents. Woodsy, spicy, mouthwatering gourmand perfumes that remind me of cinnamon rolls, warm apple ciders and hot cocoas. 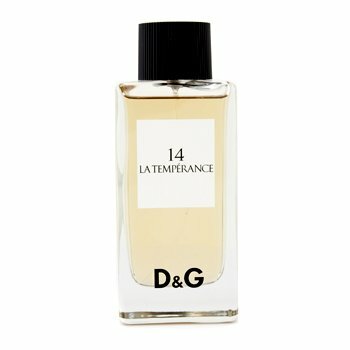 When the sun outside cannot be bothered to go to work that day, I spray generously few spritzes of Anthology La Temperance 14 by Dolce & Gabbana and enjoy myself. This perfume starts with fresh dose of pink pepper, then quickly morphs into sultry, smoky scent heavy on musk and amber. It is comforting and cozy and feminine and casual and classy, all at the same time. Anthology La Temperance has an earth like quality, filling you with positive energy and making you look forward to the mastershow, courtesy of Mother Nature. Today, 23rd September is the Autumnal Equinox. Today and all throughout the end of October, La Temperance is my go to perfume. It is my way of celebrating the fall. Please tell me, which is yours?